Much more than a new range. It’s a whole new way to connect your business. Ricoh MPC 4504sp. 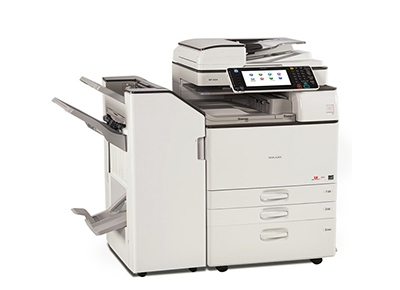 With nine models available, these hard workers form part of our flagship A3 colour Smart MFP range. Each model offers superb reliability, output quality and workplace productivity – so no matter which one you choose, these are the perfect devices for your high output, multipurpose environment. These devices have a Smart Operation Panel and they’re designed to help you increase productivity thanks to their rich functionality – including several finishing options, banner printing capabilities and a new Intel processor.